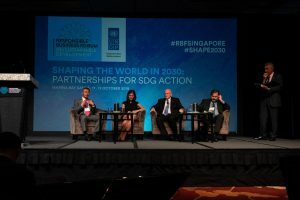 The Singapore leg of the Responsible Business Forum on Sustainable Development, held on 11-12 October 2018, saw representatives from the business and non-government sectors discuss their perspectives on “Partnerships for SDG Action”. 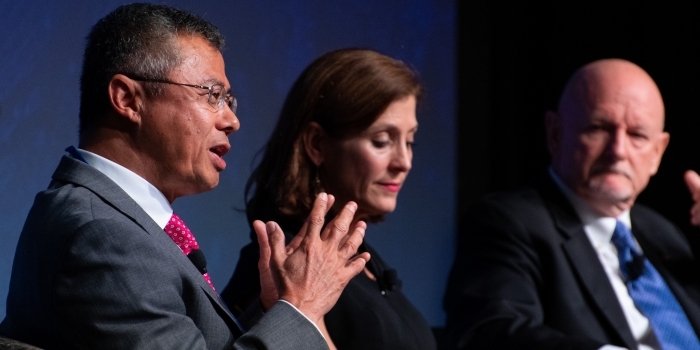 Panel sessions covered a range of topics, such as climate action, urbanisation, circular economy and human rights. 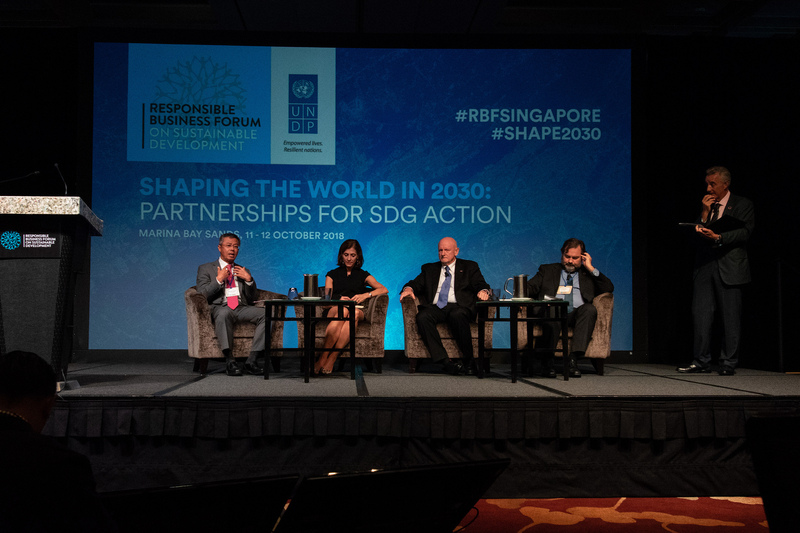 RGE Vice Chairman and APRIL Group Chairman Bey Soo Khiang was a panellist at the opening discussion panel on 11 Oct 2018 that explored the issues concerning alignment with SDGs, measuring impact and identifying opportunities and risks as institutions converge towards SDGs. Bey shared how existing overarching principles underpin APRIL’s journey towards SDG alignment. 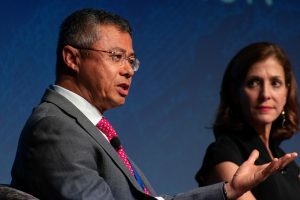 He started with the 5 Cs operating philosophy of RGE Founder and Chairman Sukanto Tanoto, that is to operate in a way that is good for the community, country, climate and customer, only then will it be good for the company; elaborating how these have guided APRIL’s efforts in community development and environmental stewardship. APRIL Group Chairman Bey Soo Khiang shares insights and cases on how APRIL has structured and localised efforts to be aligned with the United Nations Sustainable Development Goals. In 2013, we started a programme called the Fire-Free Village Programme. The villages were previously using fire to clear their land because they had no other alternative. 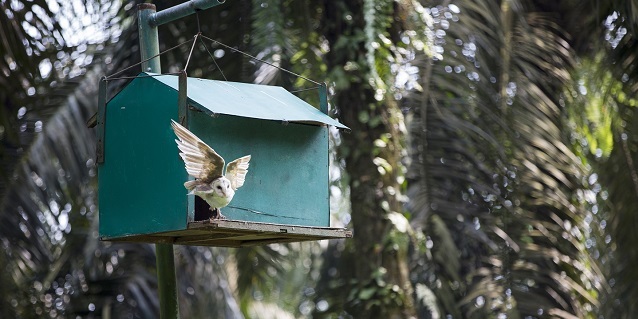 In this Programme, we help provide mechanical means as a land-clearing alternative. On top of that, we provide incentives – USD 10,000 for community development projects if the villages remain fire-free during the dry season. The Programme has been fairly successful in the communities around us. We scaled this up and in 2015, which saw one of the worst El Nino seasons, our areas were relatively fire-free. From the successes of this Fire-Free Village Programme, we were encouraged by the government to form an alliance to bring in other companies to help share best practices. We cannot teach them, but we can share our experiences and practices, because ultimately, everything depends on community relations. 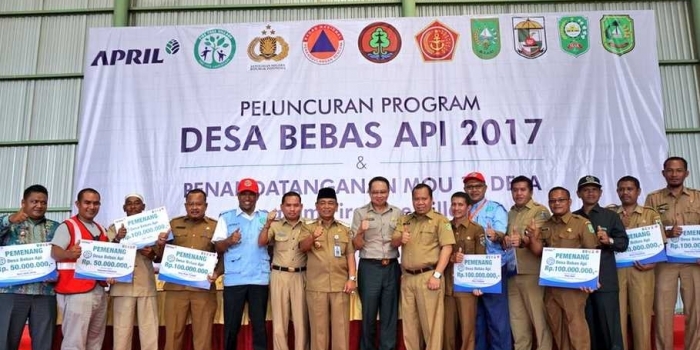 The Fire Free Alliance comprises the NGO IDH to help scale up these practices in Indonesia. We made a public commitment that for every hectare of plantation area we have, we will have one hectare of conservation area. Today, we are about 0.83. For the 480,000 hectares of plantations we have, there are 400,000 hectares of conservation area – the largest single piece is about 150,000 hectares, twice the size of Singapore. We have committed USD 100 million for conservation and restoration activities. Are we really meeting the needs of the community of the local level? We were not sure of that, because there wasn’t a common language with the government. In terms of reporting impact, there is no common language for us to define the data and impact we really want. With the launch of SDGs in 2015, it gives us a golden opportunity to try and rectify some of these shortcomings. We understand UNDP Indonesia has been working with Tanoto Foundation to localise the SDGs. We reached out to them on how we can realign our 5 Cs priorities alongside the SDG priorities the local government has come up with. That way, we can be assured we are investing in the right place. In terms of reporting, we are now working with UNDP and PricewaterhouseCoopers, who have helped prioritise the right SDGs for us in the next couple of years, and guide our investment. We now have to define the areas we need to work on, how we can collect the data, measure the setup and baseline, and then measure the improvements along the way. SDGs are a global concept. If you want to achieve the goals, the intervention has to happen at the ground level, at the village level. That is where we are working with UNDP Indonesia – on a project to model how we work with the villages, meet their needs as well as move towards the SDG goals. We hope by early next year, we will be able to complete the cycle. Going forward, we are talking with UNDP Indonesia to explore setting up an SDG Academy so that other provinces and local governments can be brought in, trained by UNDP Indonesia. Even other companies can be brought on board. We can share ideas, so that we can together accelerate towards the SDG goals in 2030. This is a global problem. Whether we are competitors or not, we face the same problem. We have to do this as an industry. Read more on APRIL Dialog.